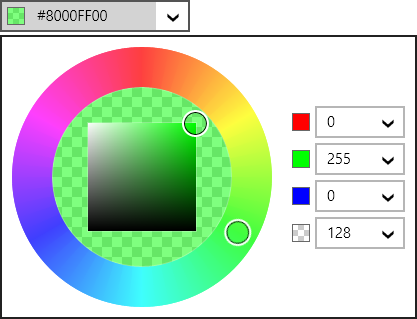 In recent posts, we've shown off some of our new edit box controls for WinRT (Windows Store and Windows Phone apps). We saw our DateEditBox, which is used for date input. And then we saw our TimeEditBox, which is used for time input. We also have a DateTimeEditBox, which can edit a date and time in the same control. That's what we'll show in today's post. The DateTimeEditBox control is used to input a DateTime value, and uses a DateTimePicker control in its popup. Edit boxes work great with a keyboard. When the edit box is focused, values can be directly typed in. Type in "9/9/14 10am", "09/09/2014 10:00", "2014-09-09 10AM", etc. and press Enter. Any of those will commit the same date/time value. You can also move the caret to one of the date/time components (month, day, year, hour, minute, second, AM/PM) and use keyboard arrow keys, PgUp/PgDn, or the mouse wheel to increment values. Best of all, pressing the left/right arrow keys will instantly jump between the various "parts" (components) of the edit box value and select the part's text. The date/time value can be displayed in any desired standard or custom format. By default it will use the current culture's default date/time format. If the user doesn't have a keyboard, mouse or touch can be used to display the popup. 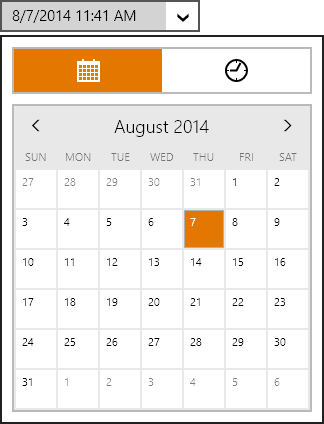 The popup contains a HorizontalListBox at the top that switches between DatePicker and TimePicker controls. These two pickers allow for easy mouse/touch selection of dates and times. Just like our other edit boxes, this edit box will render itself like a button when used on Windows Phone. Tapping the button shows a full screen picker (same as above) where the date value can be selected. 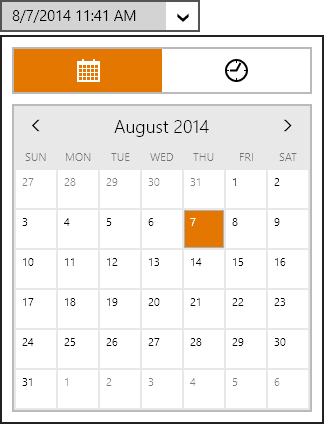 This post shows how an DateTimeEditBox control can accept date and time input in a single control within a Windows Store or Windows Phone app. 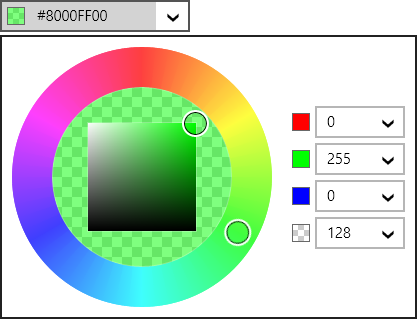 Download our WinRT/XAML Controls to check it out, along with our other beautiful and functional editor controls! 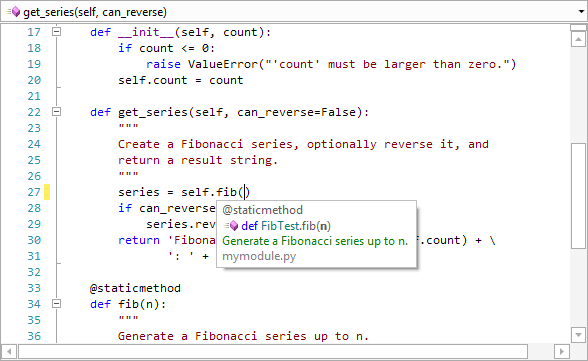 Code Writer v2.4, our free text/code editor app, is now live in the Windows Store. 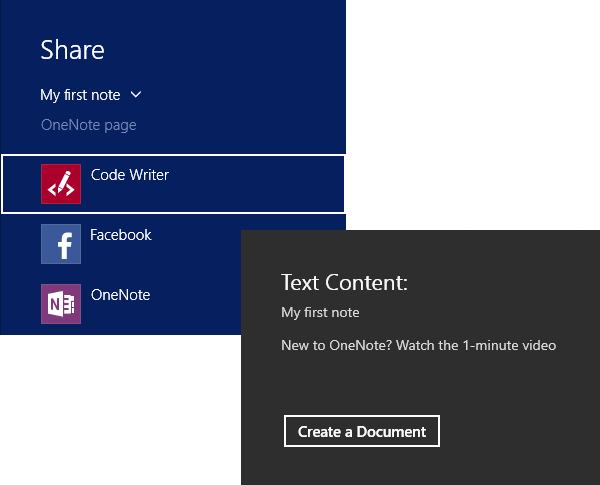 Are you interested in adding code or text editing abilities to your own Windows Store apps? 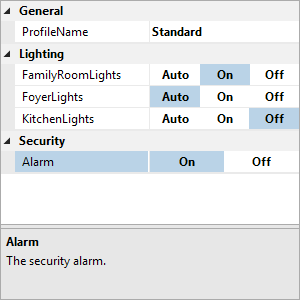 SyntaxEditor for WinRT/XAML allows you to build apps just like Code Writer. Download a free evaluation to try it out. Quote delimiter auto-completion has been added for most file types. In the screenshot above where a JSON file is being edited, I've typed a quote character to start a string and its end quote was auto-completed. By tapping the Code Writer item in that list, it opens another flyout where the text that will be sent to Code Writer can be previewed. 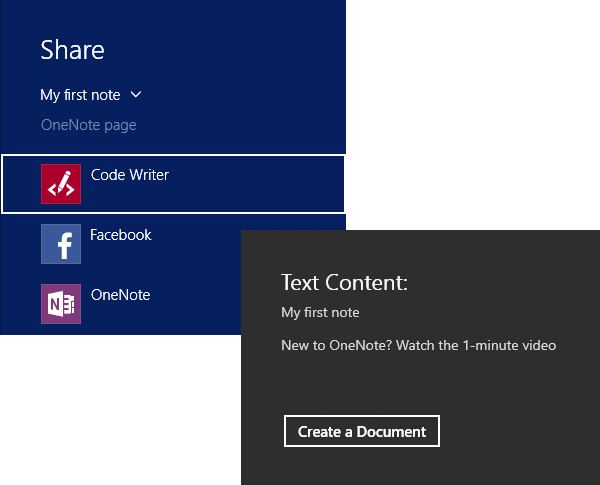 Simply tap the "Create a Document" button and a new document will be opened in Code Writer that contains the sent text. Code Writer is also a share target for all of the default file type extensions. For instance, if you have OneDrive open and select a file, you can open the Sharm charm and Code Writer will be listed as a share target. Tap on Code Writer and a flyout will open that displays the files being shared. Press the Open File button and the file will be opened in Code Writer. Multiple files can be opened at a time too! 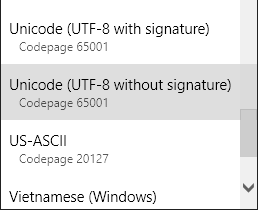 We've added a special new character encoding option that can be found in the Editor Settings flyout for using UTF-8 without a signature. When opening non-Unicode files, the default character encoding specified in Editor Settings is now used as appropriate. We've also improved international support with better caret/selection movement and delete and backspace functionality around multi-byte Unicode characters. This update adds several features that have been highly requested by our users, and we're excited to get it into your hands. You can also download a free evaluation of our SyntaxEditor control for WinRT/XAML, which lets you add advanced code and text editing to your own Windows Store apps.